Case summaries are listed in order by report date. 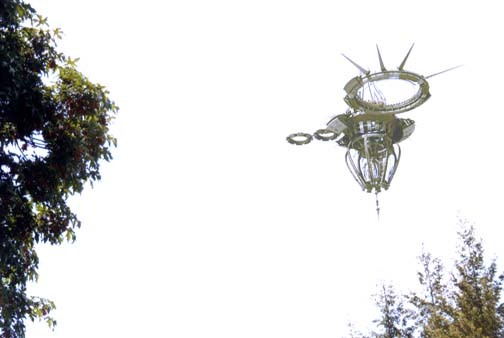 "Last month (April 2007), my wife and I were on a walk when we noticed a very large, very strange 'craft' in the sky. My wife took a picture with her cell phone camera (first photo below). Afew days later a friend (and neighbor) lent me his camera and came with me to take photos of this 'craft.' We found it and took a number of very clear photos. Picture #4 is taken from right below this thing and I must give my friend credit as I was not brave enough to get close enough to take this picture myself! The craft is almost completely silent and moves very smoothly. It usually moves slowly until it decides to take off. Then it moves VERY quickly and is out of sight in the blink of an eye. MORE THAN ANYTHING I simply want to understand what this is and why it is here? We found your show with Google and I have listened for a few nights now. I have decided that if anyone can help me understand what this thing is, it is you and your audience. I must admit I am deeply unsettled by this thing. I have never seen anything like this in my life... Location : I would prefer not to say for now. - Chad"
I first saw it to get the photos, but it was not there. Then we tried again the next day, and we found it within like 30 minutes and followed it for a while. Most of the time I see it out of windows in my house, in the distance, but I would say almost half of the hikes I have gone on in my area, I have seen it very close. It is very easy to photograph and many neighbors aside from my friend have also seen it. It is almost totally silent but not quite. It makes kind of "crackling" noises. It's hard to describe them but they are only intermittent and not very loud, but you can notice them. 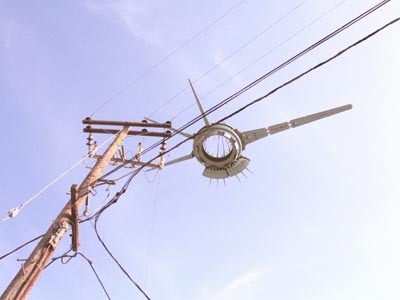 Sometimes there is a very slight hum that sounds” kind of mechanical, almost like when you are near very large power lines. But it is nothing loud like a jet engine, it is very quiet for the most part." "It moves almost like an insect. If you have ever seen a bug on a pond, it is kind of like that. It is VERY smooth and slow most of the time, but then every now and then it will rotate very quickly and go VERY fast into another direction, then stop, and repeat the process all over again. There is just something very unnatural about the way it moves. Also, I have had maybe 4 headaches in the last week, and I am normally not the kind of person who really ever gets them. Also my wife has been tired and fatigued lately. She is about a month pregnant, and the doctor said fatigue is normal around this time, but I worry that it is a lot. Basically what I'm worried is that this "craft" has got some kind of radiation or something. 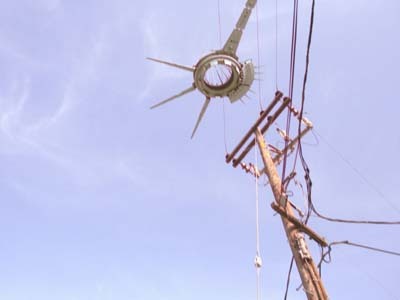 Like I said, it sounds like power lines if you get close enough to it. Obviously I am worried for our health, especially with a baby on the way. I don't know if they are related, but again, this is why I really hope someone can answer these questions! 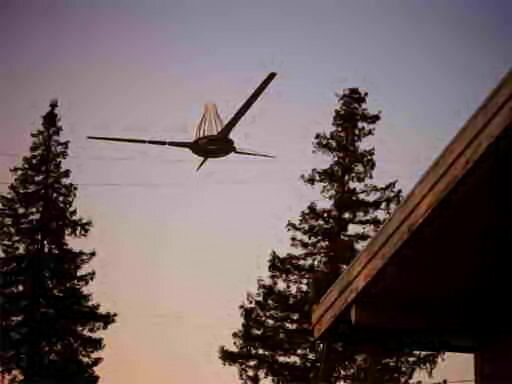 —Chad"
On May 12th, 2007, a person going by the name of Deborah McKinley of San Jose, California, submitted a report to MUFON's website with two cell phone photos allegedly taken in Lake Tahoe, Nevada, on May 5th, 2007, of a similar airborne craft. "I saw this thing in the sky at about 7 PM in Lake Tahoe. It was spinning and moving slowly. Took 2 cam phone pics. Detailed Description of the UFO Event: My husband and I were in Lake Tahoe over the weekend. We left on Friday afternoon and came back Monday morning. On Saturday at about 7 PM, I was walking out to my car to get a sweater when I saw this thing in the sky. It was pretty close I think, but still above the trees. It was moving and spinning slowly, heading towards my right. I was startled and confused at first and wanted to take a picture, but our camera was still inside so I took two pictures with my camera phone before it passed behind the roof of the house. I ran around to the other side and was yelling to my husband to come out. We came around the other side and saw it just as it was going down behind some trees. He didn't get a good look at it, but he saw enough to convince him that it was something really strange. We decided to take a drive around the area to see if we could see it again, but we never did. We didn't see it the next day either. Since we were renting the cabin for the weekend we didn't know any nearby residents but I would bet at least a few other people saw it. It was very visible and very strange looking. I was definitely a little freaked out but my husband didn't seem very bothered by it. He was more interested in it than scared. He wanted to drive around a lot longer trying to find it than I did! It didn't make any noise except for a very, very faint sound that is hard to describe but sounded like something vibrating. We both heard the sound although just barely. It moved in a very straight line when it went over the house but when we saw it on the other side of the house, when it was going down behind the trees, it made a very sharp turn. It didn't move like a helicopter or airplane, it was very "exact." We did see one person on our drive who was a few blocks away taking a walk and asked him if he saw it, and he said no. Then we asked him if he heard any weird noise and tried to describe it as best we could, and he said he might have but he wasn't sure. By this time it was at least 20 minutes since we first saw the thing so, who knows. I talked to some friends over the week about sending these to a newspaper or something but a guy at work suggested I look up MUFON, so I'm starting with you guys." "This week I was visiting my fiance's parents in Capitola (we were actually there to tell them about our engagement, in fact). We were eating dinner on the back porch when we noticed this "object" sort of hovering in the sky. The camera was still out from earlier so I grabbed it and tried to get some clear shots of it. It took off over the roof shortly after, so I ran into the street in front of the house to follow, trying to get more shots without wobbling around too much (which was harder than it sounds). It then came in lower over a telephone pole, where I was able to get a few more pictures, before it finally took off into the distance pretty fast. I thought it was gone but noticed it was still visible, so I grabbed a few more pictures. At one point a car stopped to look as well. No one had any idea what this thing was but everyone in the car was visibly freaked out by it. Once it was gone they told me to call the news and drove off. I'm not sure who else saw it in the neighborhood since I don't live down there, but I'm sure at least a few others must have noticed it. It was way too weird and way too close to go unnoticed. Once it was gone and I caught my breath I could barely stop my hands from shaking for the next hour or so. Needless to say, this is all we talked about for the rest of the night. None of us can figure out what it was (and that's saying something, because my fiance's dad is a mechanical engineer). We sent a copy of the photos to their newspaper but haven't heard back yet. I dunno how long that kind of thing takes. There's also some writing on this thing, which I didn't recognize (and I read both English and Hindi). You can see it in a few of the pictures. "Anyway, I created this Flickr account for the best of these pictures. I have no clue what this thing is so I'm putting it out there to see if anyone else saw it." "Okay, where to begin. Yesterday I was up around Big Basin for my assignment like I've been mentioning for the last couple weeks—the theme for those that don't remember was photographing something at a small scale against a large scale backdrop to contrast scales and to play with depth of field, etc. I chose to photograph a couple of flower/ weed things growing right on the edge of a drop off with the valley in the background. I'm still using the Rebel XT I bought off Mark which is SLR so I'm looking at everything through a viewfinder when I notice something appear in the distance, like just pop out of nowhere. I look up and there is this huge who-knows-what-the floating in the distance and rotating very slowly and jerkily. Almost by reflex I take another shot which is focused in on it this time and go to stand up but practically fall over because I can't even think straight." "I was able to get one more shot which came out kind of blurred and then the thing vanished like as in, now you see it, now you don't. I attached the pictures so you guys can check them out before I really decide to do something with them—are these going to the 6 o'clock news or what—any feedback would be great before I make a major decision here. Also, by the way I attached three pictures the first is when it first appeared right as I was taking a shot of the flowers but I wanted you guys to see everything I saw. Sorry I only got 3 pix but this thing was seriously gone in like a matter of seconds. Also, by the way, I am planning to return to the area this weekend with the camera and anyone else who wants to join me. I'm seriously going to spend all day hiking around to see if it shows up again if it does I am going to get a million shots of this thing if it does you seriously have to see it to even believe it so anyone who wants to come me let me know the more people that see this the better because I don't even need to tell you that so far this is a pretty crazy situation and I want some witnesses to back me up. —Stephen"
Photo by Stephen, June 5, 2007, Big Basin, California. 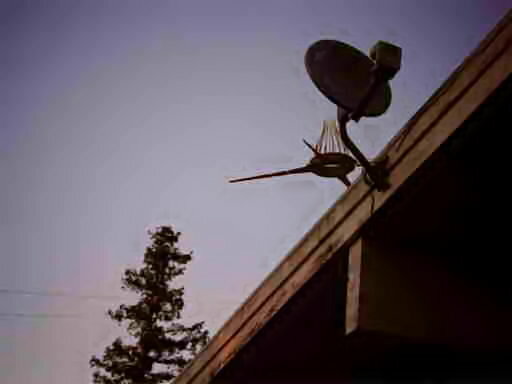 On June 11th, 2007, Linda Moulton Howe received an email from a person going by the name of Ty claiming that he photographed a strange object while bicycling with some friends, also on June 5th, 2007, in Big Basin, California. Ty mailed to Linda 12 Photographic prints which she then scanned and posted on www.earthfiles.com . "Here is the brief introduction. I'm using the alias Isaac, and used to work in what was called the CARET program in the 80's. 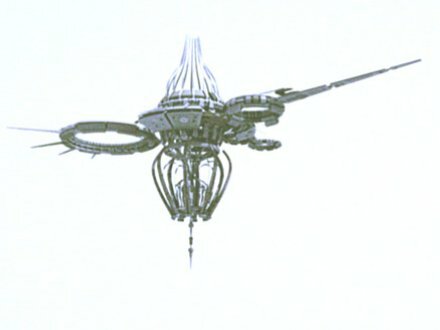 During my time there, I worked with a lot of the technology that is clearly at work in the recent drone/ strange craft sightings, most notably the "language" and diagrams seen on the underside of each craft. What follows is a lengthy letter about who I am, what I know, and what these sightings are (probably) all about. "The appearance of these photos has convinced me to release at least some of the numerous photographs and photocopied documents I still possess some 20 years later that can explain a great deal about these sightings. On this site you will find some of these. They are available as high resolution scans that I am giving away free, PROVIDED THEY ARE NOT MODIFIED IN ANY WAY AND ARE KEPT TOGETHER ALONG WITH THIS WRITTEN MATERIAL. I am also trying to get in touch with the witnesses so far, such as Chad,Rajman, Jenna, Ty, and the Lake Tahoe witness (especially Chad). I have advice for them that may be somewhat helpful in dealing with what they've seen and what I would recommend they do with what they know. If you are one of these witnesses, or can put me in touch with them, please contact Coast to Coast AM and let them know. "My Experience with the CARET Program and Extraterrestrial Technology (Isaac, June 2007)"
"This letter is part of a package I've assembled for Coast to Coast AM to distribute to its audience. It is a companion to numerous document and photo scans and should not be separated from them. "You can call me Isaac, an alias I've chosen as a simple measure of protection while I release what would be called tremendously sensitive information even by today's standards. "Sensitive" is not necessarily synonymous with "dangerous," though, which is why my conscience is clear as I offer this material up for the public. My government has its reasons for its continual secrecy, and I sympathize with many of them, but the truth is that I'm getting old and I'm not interested in meeting my maker one day with any more baggage than necessary! Furthermore, I put a little more faith in humanity than my former bosses do, and I think that a release of at least some of this info could help a lot more than it could hurt, especially in today's world. "I should be clear before I begin, as a final note: I am not interested in making myself vulnerable to the consequences of betraying the trust of my superiors and will not divulge any personal information that could determine my identity. However my intent is not to deceive, so information that I think is too risky to share will be simply left out rather than obfuscated in some way (aside from my alias, which I freely admit is not my real name). I would estimate that with the information contained in this letter, I could be narrowed down to one of maybe 30-50 people at best, so I feel reasonably secure." "Some Explanation for the Recent Sightings"
"For many years I've occasionally considered the release of at least some of the material I possess, but the recent wave of photos and sightings has prompted me to cut to the chase and do so now. 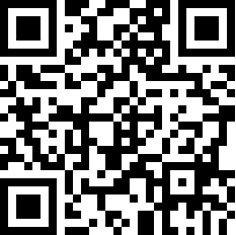 Review scan found at the top of this page. More importantly though, I'm very familiar with the "language" on their undersides seen clearly in photos by Chad and Rajman, and in another form in the Big Basin photos. "One question I can answer for sure is why they're suddenly here. These crafts have probably existed in their current form for decades, and I can say for sure that the technology behind them has existed for decades before that. The "language," in fact, (I'll explain shortly why I keep putting that in quotes) was the subject of my work in years past. I'll cover that as well. "The reason they're suddenly visible, however, is another matter entirely. These crafts, assuming they're anything like the hardware I worked with in the 80's (assuming they're better, in fact), are equipped with technology that enables invisibility. That ability can be controlled both on board the craft, and remotely. However, what's important in this case is that this invisibility can also be disrupted by other technology. Think of it like radar jamming. I would bet my life savings (since I know this has happened before) that these craft are becoming visible and then returning to invisibility arbitrarily, probably unintentionally, and undoubtedly for only short periods, due to the activity of a kind of disrupting technology being set off elsewhere, but nearby. 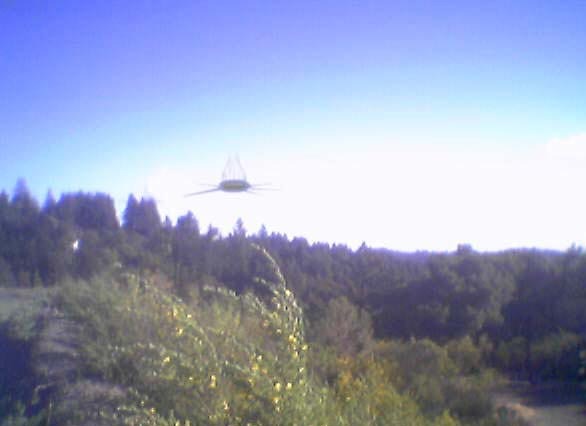 I'm especially sure of this in the case of the Big Basin sightings, where the witnesses themselves reported seeing the craft just appear and disappear. This is especially likely because of the way the witness described one of the appearances being only a momentary flicker, which is consistent with the unintentional, intermittent triggering of such a device. "It's no surprise that these sightings are all taking place in California, and especially the Saratoga/South Bay area. Not far from Saratoga is Mountain View/Sunnyvale, home to Moffett Field and the NASAAmes Research center. 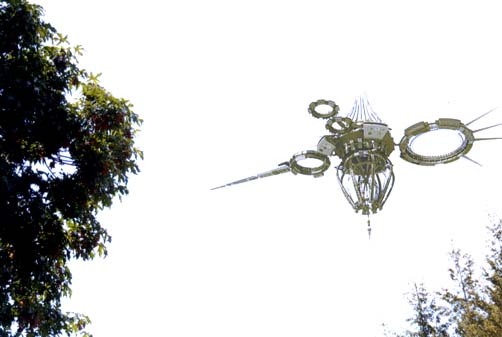 Again, I'd be willing to bet just about anything that the device capable of hijacking the cloaking of these nearby craft was inadvertently triggered, probably during some kind of experiment, at the exact moment they were being seen. Miles away, in Big Basin, the witnesses were in the right place at the right time and saw the results of this disruption with their own eyes. God knows what else was suddenly appearing in the skies at that moment, and who else may have seen it. I've had some direct contact with this device, or at least a device capable of the same thing, and this kind of mistake is not unprecedented. I am personally aware of at least one other incident in which this kind of technology was accidentally set off, resulting in the sudden visibility of normally invisible things. The only difference is that these days, cameras are a lot more common! "The technology itself isn't ours, or at least it wasn't in the 80's. Much like the technology in these crafts themselves, the device capable of remotely hijacking a vehicle's cloaking comes from a non-human source too. Why we were given this technology has never been clear to me, but it's responsible for a lot. Our having access to this kind of device, along with our occasionally haphazard experimentation on them, has lead to everything from cloaking malfunctions like this to full-blown crashes. I can assure you that most (and in my opinion all) incidents of UFO crashes or that kind of thing had more to do with our meddling with extremely powerful technology at an inopportune time than it did mechanical failure on their part. Trust me, those things don't fail unless something even more powerful than them makes them fail (intentionally or not). Think of it like a stray bullet. You can be hit by one at any time, without warning, and even the shooter didn't intent to hit you. I can assure you heads are rolling over this as well. If anyone notices a brilliant but sloppy physicist patrolling the streets of Baghdad in the next couple weeks, I'd be willing to guess how he got there. (I kid, of course, as I certainly hope that hasn't actually happened in this case)." Isaac goes on to discuss the time he worked in the CARET (Commercial Application Research for Extraterrestrial Technology) program at the Palo Alto CARET Laboratory (PACL), on a secret reverse engineering project of alien technology. 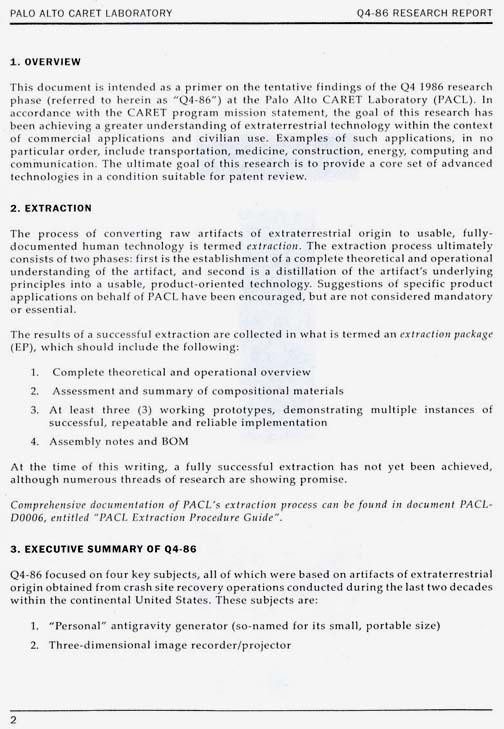 The website contains a series of alleged smuggled documents from the CARET program including a five-page Linguistics Analysis Primer that provides some detail on the language symbols, a ten-page Q4-86 Research Report and a page from a Q3-85 Inventory Review that depicts some of the alien or reverse engineered artifacts that Isaac came into contact with. 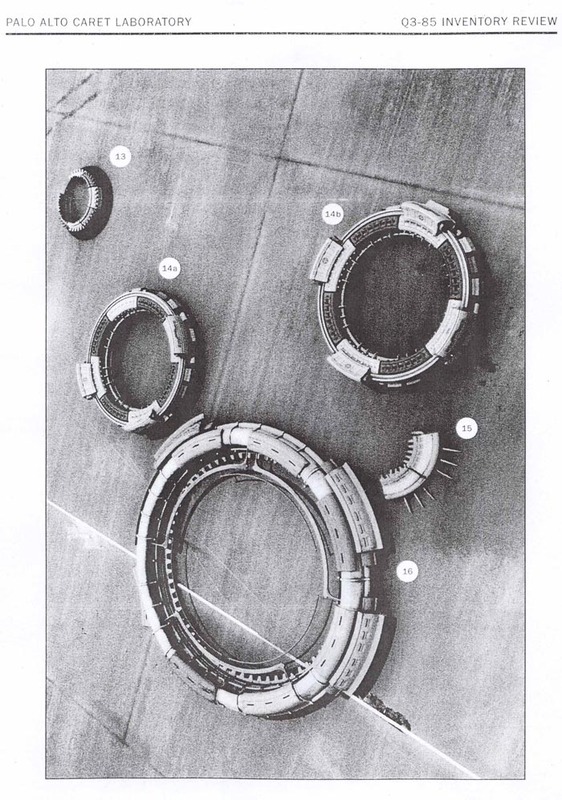 Photo from CARET Q4-86 Research Report. (Scale unknown). 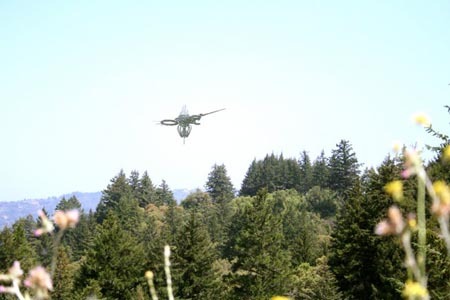 All of the sighting reports and corresponding photos have collectively become known as the "drones," alluding to the unmanned nature of the strange craft. 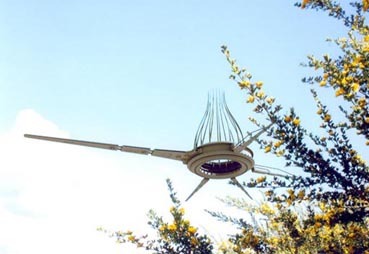 What makes this case intriguing is the exclusive use of the Internet for not only filing the UFO reports but also for publishing the related claims of alien technology reverse engineering. Since Isaac has from the very beginning hidden behind an assumed name, MUFON's investigation began with establishing the identity of the original five photo-witnesses: Chad, Deborah, Raj, Stephen and Ty. In forensic science, the term "non-repudiation" refers to the concept of ensuring that a party in a dispute cannot repudiate, or refute the validity of a statement or contract. In the case of a UFO report, the term "witness non-repudiation" refers to establishing the irrefutable identity of the witness and their claim of having witnessed and reported an extraordinary event. In the drones case, non-repudiation has not been established for any of the original photo-witnesses because they have chosen to communicate exclusively through email or by telephone and have not permitted anyone to interview them in person. One of the fundamental things a MUFON investigator must do in an extraordinary case of this nature is to meet with the witness in-person, establish their identity through photo identification and crosschecks of public records and secure a signed statement of what they witnessed. Witness non-repudiation has been the backbone of MUFON investigations for the past 40 years, and the Internet age does not change this fundamental aspect of an investigation. It has been MUFON's long experience that a witness will request anonymity from public disclosure while still providing enough personal details to the investigator to validate their identity as a real person. In the case of the drone photo-witnesses, they have not provided enough personal details to irrefutably establish their identity. Members of the Open Minds Forum Drone Research team at http:// Iucianarchy.proboards21 .com have allegedly been in contact with the photo-witnesses but they have refused to share this information with MUFON, and it is doubtful that they have established photo-witness non-repudiation. Linda Moulton Howe has also corresponded with the photo-witnesses by email and by telephone but not through in-person interviews. Linda Moulton-Howe sent me an email on March 25, 2008, stating : "Chad, Rajman and Ty B. corresponded with me in full first and last names. Each asked me specifically not to reveal those names and email addresses and Chad emailed that his pregnant wife was so upset he was concerned about her health and they were leaving their house to stay with relatives. Ty also sent me 12 photographs of the Big Basin craft by hard mail with his return address. I sent hard mail to that address, which was not returned, but Ty B. did not reply further. Rajman's Flickr account was mysteriously shut down on June 6,2007, which angered and scared him, and he had negative feedback at work and from his family about the growing commotion over his posted photos, even though his fiance and some of his family saw the drone as well the day he took the photos. By mid-June 2007 as far as I know, Rajman had withdrawn from communications with most everyone. "I don't have "irrefutably established identities" for Chad, Rajman and Ty B. But from my point of view, their 2007 photographs need to be considered in the context of 1987 to mid-November 2007, eyewitness accounts (without photographs) by people with whom I have corresponded and in most cases, recorded phone interviews at length." What are the odds that the clearest and most detailed UFO photographs since Gulf Breeze, were taken within a one month time period in the same state and involved five different sets of multiple witnesses whose identities have still not been irrefutably established a year after the event took place? Are all the photo-witnesses truly hiding behind their anonymity out of fear or ridicule? Keep in mind that Isaac is the only alleged "insider" in this case possessing information about the true nature of these strange craft and the technology they employ and also the only one who knew the risks of disclosure while the photo-witnesses claim to be innocent bystanders from normal walks of life who happened to be in the right place at the right time with camera in hand. UFOs are sighted daily by average everyday citizens and it is more likely than not that they WILL come forward and forgo their anonymity especially when such extraordinary evidence is at stake. If we examine UFO History, every extraordinary photo of a UFO has a real person behind it—Ed Walters at Gulf Breeze, the Trents in McMinnville and Rex Heflin in Santa Anna. Of the thousands of cases reported to MUFON CMS, 54% of the witnesses (a majority) did not request anonymity while 46% did request anonymity. Witnesses also come forward despite the possibility of public ridicule, as evidenced by the recent January 2008 sightings in Stephenville, Texas, where numerous real citizens who experienced an anomalous event came forward to publicly disclose their sightings. Of the many Stephenville witnesses, some did request anonymity but still agreed to in-person interviews and their identities could be established. Of the five original photo-witness reports, only one reported their alleged sighting directly to MUFON (through CMS), despite the fact that the National UFO Reporting Center (NUFORC) and MUFON are at the top of the Internet search engine ranking orders (Google rankings seem to work for everyone except Chad who somehow got Coast to Coast AM). The person claiming to be Deborah McKinley left only an email address (deborah_mckinley@hotmail.com) on the CMS report she filed and DID NOT request anonymity. MUFON investigator emails sent to that address were never responded to although it is a registered HOTMAIL.COM email address. Unfortunately, anyone can register a hotmail.com email address without first having to prove identity and can do so under a fictitious name. Virtual witnesses do little for the credibility of any case, but especially in this case with such extraordinary claims. With the increasing sophistication of photo and video manipulation software available today, it is becoming increasingly difficult to discern a real photo or video from a hoaxed one. Given enough time and computing resources, a determined hoaxer could produce a quality fake that would fool most people and would require tedious expert analysis to prove a fake. Since seeing-is-no-longer-believing in today's digital world, it becomes even more important to validate the identity of a photo or video witness. Validating the photo-witnesses in this case is not only important for authenticating the photographic evidence but also to ascertain if there is any truth to the CARET documents released by Isaac. In other words, if the photo-witnesses prove to be non-existent, it is likely that the CARET Program is non-existent since Isaac claims that the only reason he released the CARET documents publicly was in response to the photo-witnesses reporting their sightings. What also sets apart this case from others is how much the drone photographs and the CARET documents have been analyzed for authenticity on many Internet message boards despite the lack of identifiable witnesses. All MUFON investigations should begin with establishing the authority and identity of the witness. If a witness makes extraordinary claims and or produces extraordinary evidence but refuses to provide enough personal detail to establish non-repudiation (claimed identity beyond doubt), this should be an immediate red-flag for any further investigation. You can argue the authenticity of a photograph or the science of a technology (human or not) until you are blue in the face, but with a virtual witness as the source, you may as well just debate science fiction. It appears that the Internet has become the media of choice for persons making unsubstantiated and extraordinary UFO claims while hiding behind fictitious names or anonymity. I personally experienced this when investigating the October 2006 Kinross UFO case where a non-existent dive company alleged the discovery of a missing 1953 Air Force jet and the UFO it was chasing, at the bottom of Lake Superior. (Please see the articles on MUFON's investigation of the Kinross case in the October and November 2006 issues of the MUFON Journal) In that case, the perpetrators set up an Internet message board to answer questions about their discovery. After I joined the message board, it quickly became apparent that the majority of board members consisted of a mix of believers and perpetrators who were quick to attack any members with dissenting views who called into question the claims being made. The dive company's website and message board eventually disappeared from the Internet, never to resurface, but only after the irrefutable facts gathered by MUFON investigators through many hours of tedious research were made public and promulgated throughout the Internet. MUFON did not spend inordinate amounts of time analyzing the sonar images posted on the dive company's website, or researching lake floor currents to calculate object drift, or speculating on the technology that contributed to an object being radioactive hot after 53 years at crush depth. MUFON's investigation began with the human element - focusing on the dive company and its principals who proved to be non-existent. The road of ufology is littered with dead-end tales of alleged crashed saucers, alien treaties, imminent disclosure and other false claims made by shadowy figures with assumed names, false identities, and alleged insider information. Many respected ufologists have let their guard down when approached by an insider claiming altruistic motives forevealing their deepest darkest secrets. Hoaxers and disinformation agents don't play nice and the carrot they dangle can look very enticing to those of us who so passionately want to find out the truth. To further darken the already murky ufological waters, the Internet has become the spawning ground of choice for new UFO myths, memes, and disinformation. Virtual witnesses flourish in this anonymous environment, making incredible claims that are readily consumed by a hungry public more than willing to believe. MUFON investigators should always take a forensic approach to any investigation by starting with validating the authority and identity of the information source, not by debating the science or authenticity of claimed evidence. Start with the human element, and once a witness's identity is irrefutably established, only then engage known experts to look at the claimed evidence. I would love for the drone photos and the CARET program to be real, but until the photo-witnesses come forward out of the shadows in which they hide and their identities irrefutably established, their claims are dubious. If you have more information about the photo-witnesses in this case, please feel free to email me. I will follow up with Part 2 of the drone's investigation in a future Journal issue.